Making book ends is one of the easy projects you can make in a weekend. A set of custom book ends makes a great gift for family and friends, and as a novelty woodcraft item, they sell well at craft markets. It can be simply a matter of joining two pieces of wood together to make a simple L shape, and it could also evolve into a more creative endeavour. There is simply no limit if you use your imagination. This book end project was inspired by a project in a book that I found many years ago. This was a time before computers, so I made a copy on a photocopy machine and pasted the patterns on to a piece of thin card to use as a template. Just about any kind of wood will do. The first set I made with 16mm MDF board, but it got wet and was ruined. So I made another set with 19mm pine project board from my scrap wood bin. 10 wood screws No. 6 gauge 35mm long. Paint of your choice I used artist acrylic colours, but not the very expensive type. This is only a wood craft project, after all. Don’t forget to apply a wood primer for painting. You only really need three kinds of tools to make this diy bookends project. Almost everyone does have an electric drill today. A cordless drill is a popular option, and also useful for driving screws. A drill press is essential for drill holes accurately, and very useful for many other things, such as making wooden wheels. If you are on a really tight budget, you could use a fret saw. There is a fair amount of skill involved, and to be quite honest, I have never had the patience to develop that skill. Why? - because I bought a really cheap one, and have never been happy with it. Slightly more expensive, but very popular is the scroll saw. This is the tool that I used for this project. Although it is the less expensive entry level model, it’s OK for the kind of projects I make. Whichever saw you get, make sure you purchase good quality blades. The third option is a band saw, also very popular for woodworking, and if you can afford it, get a really good one. A tenon saw (aka back saw) for making fine cuts, and the ever popular hand saw. A combination square is something I use all the time. A sliding bevel useful for transferring angles. 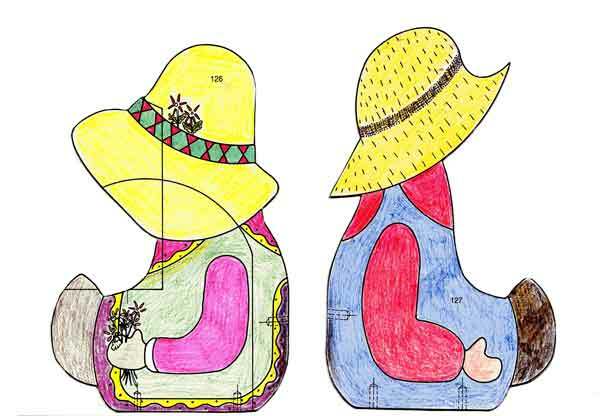 Download the easy projects book ends patterns with the instructions. This is a PDF file that you can print on your home computer, or at your local office supply store. For scroll saw projects, I prefer to use paper glue to fix the pattern to the work-piece. Because this is a very basic outline, I made a template with a piece of thin cardboard. Trace the outline and cut out the pattern. Cut out the pattern for the back rest. Note there are two different shapes here, one for each side. The base is already cut to size. Mark out and drill pilot holes for the screws. Make the L – shape and check to see if the boy and the girl will fit properly. It is probably easier to paint the patterns before assembly, starting with the wood primer, according to the instructions. Once the paint is dry, you can assemble your project and proudly show if off to family and friends. Why not take a photo and send it to me – I would love to see how you made yours, and it would inspire other to make one too. Easy woodworking project using scrap and recycled wood and a few simple hand tools. 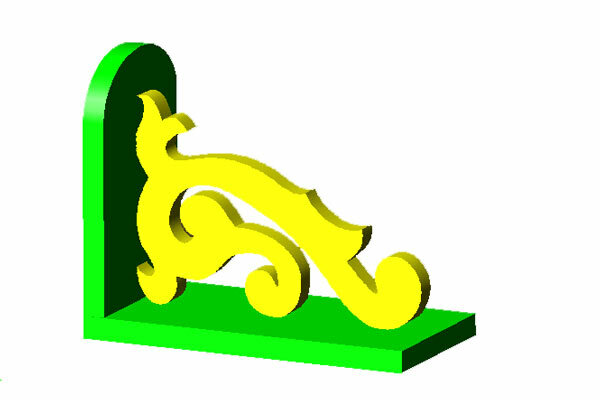 This scroll saw pattern is included in the download file. Visit the woodworking projects gallery to view projects from people all around the world.